(TibetanReview.net, Jul21, 2018) – The Chinese People’s Liberation Army (PLA) had conducted drills for special forces in the Tibet Autonomous Region, including ground training for helicopter pilots, in preparation for potential confrontation with India, reported China’s official globaltimes.cn Jul 19, citing experts. It said the training simulated a behind-enemy-lines infiltration mission at an elevation of 4,000 metres. Pilots and special forces rappelled down to the ground from helicopters and conducted the mission together, the report said, citing the official PLA Daily Jul 19. 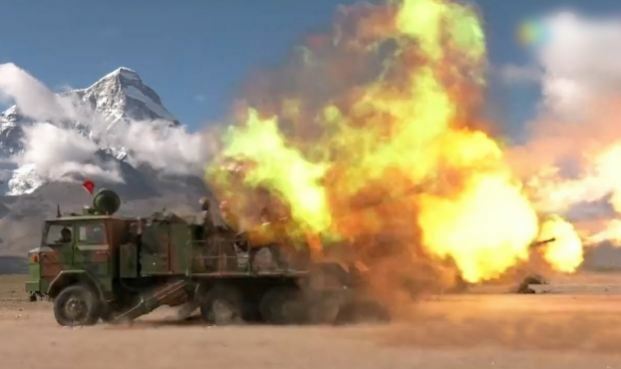 The report cited Song Zhongping, a military expert and TV commentator, as saying the training prepared participants for potential military confrontation with India. The report said Chinese pilots had been practicing joint operations with special forces this year so as to understand each other’s needs and thus enhance battle cooperation. The report noted that last month China set up an unmanned automatic weather observation station in Tibet near the border with India to provide meteorological support for national defense. The station’s data could assist with aircraft take-off and landing and the launch of missiles, it cited experts as saying.